Charlotte is the second from a series of coffee tables, designed in 1951 by Ferdinand Kramer® during his time in America. Named after his friend, the artist Charlotte Poseneske, the round coffee table Charlotte, also part of Ferdinand Kramer’s successful “Knock- Down” series, bares sculptural qualities grounded in enduring and contemporary relevance. 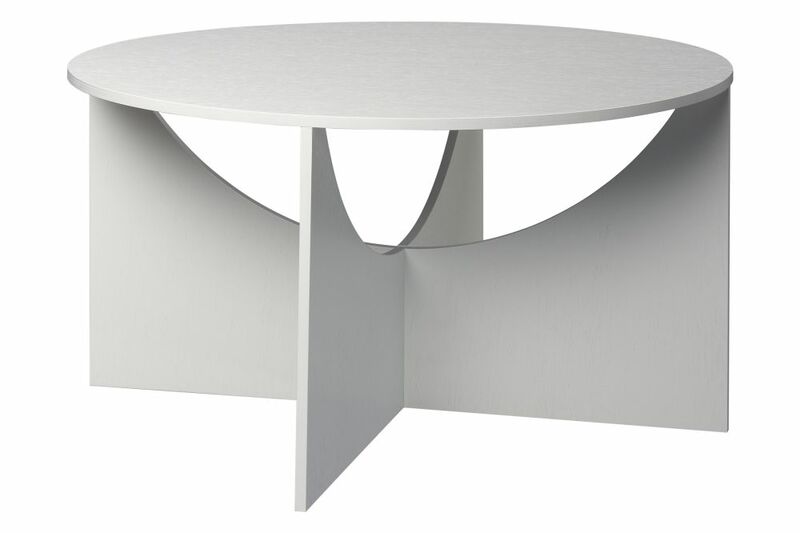 Similar to a clothing pattern, the table’s components are cut out of a single plywood sheet. Due to his socially oriented works, Ferdinand Kramer is without doubt regarded as one of the most significant architects and designers from the early period of modernism and post-war modernism. His designs represent many values, which have only been rediscovered in architecture and design in recent years: social relevance, enduring design, durability, adaptability, intelligent use of materials, functionality, practicality and elegance. Alongside the association with Kramer’s most important domain, Frankfurt am Main, e15 shares Ferdinand Kramer’s stance: Kramer’s designs are still capable of fascinating their beholders today as a result of radical modernity and absolute simplicity, which never seem clumsy or banal. Instead, they are characterised by a special balance of dimensions and proportions, carefully selected materials, quality and practicality.